A brick walkway and flag garden named for a Marine who died in Iraq was dedicated Tuesday at Southwestern College in Chula Vista. The Sgt. 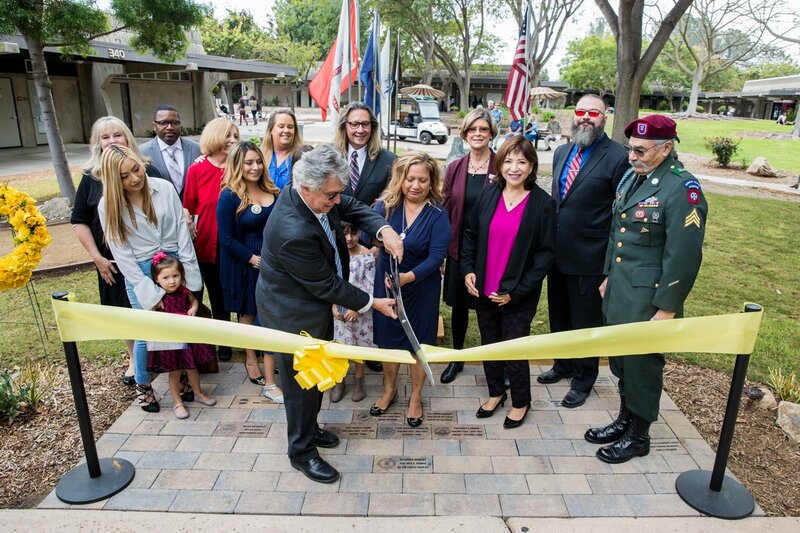 Rafael Peralta Garden of Honor is located outside the school’s Veterans Resource Center. Peralta attended the college’s police academy. Bricks in the walkway include the names of local veterans. Student veterans display the American flag, the POW flag and a flag for each branch of the military in the garden each morning, according to the college. 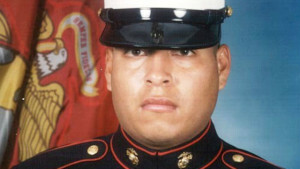 Peralta was killed during the battle of Fallujah in 2004. During house-to-house fighting on Nov. 15 that year, he was seriously wounded by a gunshot to the head before being killed by a grenade. Peralta was posthumously awarded the Navy Cross, but a bid for the graduate of Morse High School in San Diego to receive the Medal of Honor was rejected by defense officials amid uncertainty over whether he consciously pulled the grenade under his body to save his fellow Marines. A Navy destroyer named for Peralta was commissioned in July.